Sunglasses specialist Oakley could be set to compete with internet powerhouse Google as the eyewear company announces plans for a Google Glass rivalling pair of augmented reality specs. Following the recent unveiling of the futuristic Google Project Glass, which will see users don a pair of special AR specs to be offered heads-up information based on locations, upcoming activities and contacts, Oakley has revealed it is working on a pair of augmented reality glasses that will target improved athlete performances. Suggesting that the advanced technologies used would make early iterations of the augmented reality glasses rather expensive, Baden has suggested that whilst the company is looking to sports related applications at present, the eyewear, which will function on it own as well as connecting to smartphones via Bluetooth, could be rolled out to multiple markets in the future. 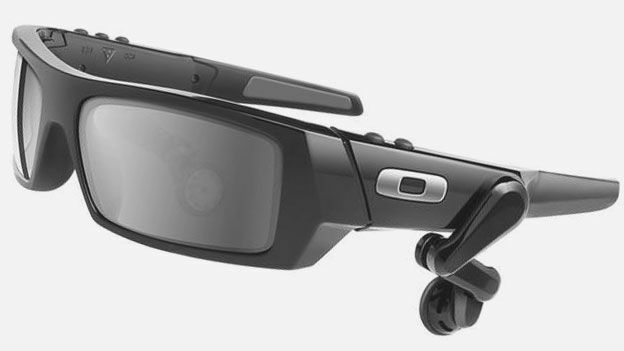 Far from the first time Oakley has attempted to target technologically advanced eyewear, as early as 2004 the company released a pair of sunglasses that featured an inbuilt MP3 player and headphones. Are you taken by the idea of augmented reality glasses or feel it is a step too far into a Sci-Fi future? Let us know via the T3 Twitter and Facebook feeds.